Joe Weider was one of the founders of bodybuilding. 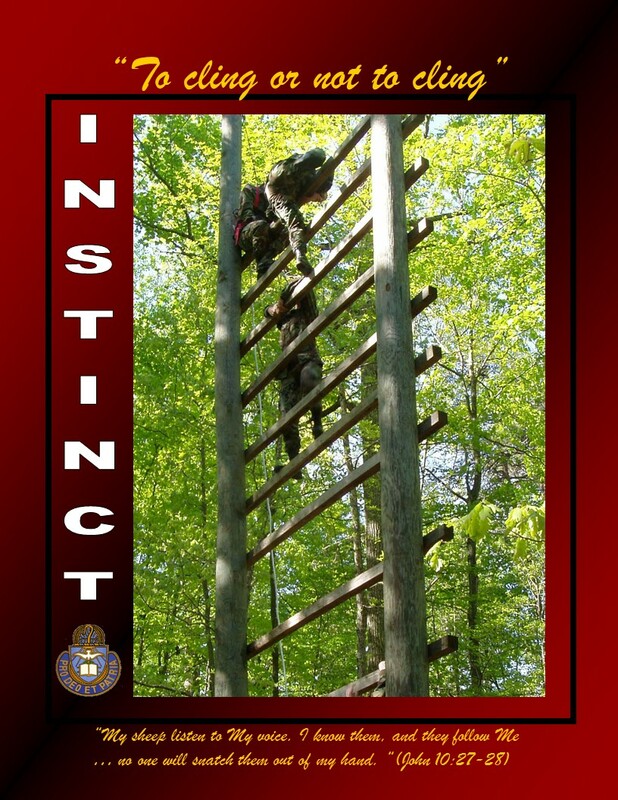 One of the tenants of his training was the importance of listening to our instincts. He believed that the fundamentals of training for bodybuilding are the same for everyone but that each person is unique in their complex makeup of body-type, metabolism, medical issues, exercise history, etc. So Weider proposed that we experiment with workouts and notice how our unique bodies react to different exercises, forms, routines, etc. According to Weider, the more we workout, the more we develop an instinct of how to tailor our workouts to our unique needs. This not only made sense to me, Scripture validates the significance of God-given uniqueness (1 Corinthians 12:12-27), the impact of personal history on present maturity (Hebrews 5:12-14), the need for proper form (2 Timothy 2:3-6), the experience of personal benefit (John 7:17), etc. Actually, bodily sensations may not be good or evil, but how and why we respond are definitely spiritual. Our gut may say to “stay home and take it easy” because we instinctively know that running will bring pain and cost us comforts that we could otherwise enjoy. But God warns us not to follow selfish physical instincts (see Genesis 6:3-12, Jeremiah 17:5-9, Matthew 26:41, Galatians 5:17, 1 Peter 3:18, etc.). That still doesn’t mean that our bodies are bad. After all, God made us as physical creatures in the beginning, and when He comes again He’ll create a new earth with perfect bodies for us (1 Corinthians 15:35-52, Philippians 3:21, Revelation 21:1-5). Yes, our bodies are being corrupted by sin (Ephesians 4:22-24), but the problem is not our bodies. The problem comes when we go with our gut instead of our God. Typically we want to cling to something because we’re scared. Look back at the Soldiers on the giant ladder. All of us cling to something, don’t we? In Galatians 5 and 6, Paul tells us to cling to God‟s spirit and not to our fleshly desires. But how do we (in Paul‟s words) “walk” or “live” by the Spirit? After all, we can’t see or touch Him. In my opinion, much of our confusion about walking by the Spirit comes from an unbiblical assumption: because we experience the desires of our flesh as physical leadings to feel better right now, we assume that living by His Spirit will be a felt instinct to feel better in Christ right now. Not necessarily. In fact, many of the most inspiring and rewarding acts of faith are by people who followed God with no “warm & fuzzy‟ in sight: Abraham in Genesis 17:15ff, Moses in Exodus 3, Samuel in 1 Samuel 16:1-6, Elijah in 1 Kings 19, Jehoshaphat in 2 Chronicles 20:5-12, all of Jonah, the disciples in Matthew 14:15-17 and John 11:7-16 , the father with partial faith in Mark 9:16-24, Mary and Martha in John 11, Ananias in Acts 9:10-17, Peter in Acts 10:9ff, and, most notably, the Lord Jesus in Mark 15:34, Luke 22:42, Hebrews 5:7-8, etc. Look closely at Galatians 5:16-26. Paul is not comparing two different routes to please ourselves. He is comparing two different results based on whom we’re trying to please. When we follow the instincts of our desires, our flesh will literally work to satisfy itself no matter what the cost to others or even to our selves. But when we live to please God, His Spirit supernaturally produces His fruit in us. Look at verses 22-23. Yes, these are wonderful and even enjoyable, but much of the fruit can only be accomplished and experienced in hardship. Isn’t it the difference between infatuation and love? The former seeks self-satisfaction and instinctively knows “that‟ll make me feel better”, so it necessarily listens to the flesh. But love seeks to please another and understands how to do that by getting to know the other person over time. I learn how to please my wife by spending time listening to her and watching her. We learn God’s heart by spending time in His Word and watching His work in the Body of Christ, so we rely on His Spirit to warm our hearts to His Word and lead us in Him. God is not insensitive or an ego-maniac. He simply knows that we must cling to the One who will never let us go. Then we’ll climb the ladder of His glory, even when it is hard. Then we’ll encourage others to follow even when it’s scary. Then we’ll focus on the desire of His Spirit and not the desires of our flesh. Then we can go against our natural instincts. Watch your body for physical reflections of your spiritual realities. Accept that these are specifically realities of what you currently value and believe, whether those are good or bad, true or false. Team with the Body of Christ to live His love in relationships.